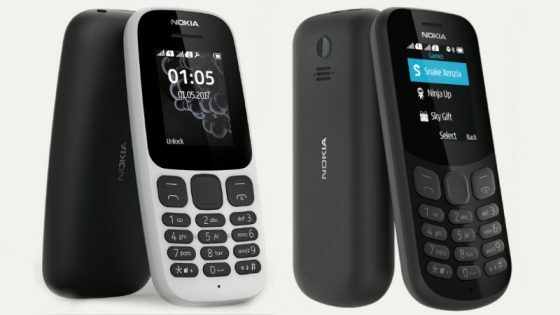 Yesterday, HMD Global the company that is now in charge of the Nokia brand and manufacturing phones under that brand launched two new feature phones. The first is called the Nokia 105 (2017) while the other is the Nokia 130 (2017). Both these phones have existed before under the same names respectively. However, the coming devices are refreshed with new designs and specifications just like the earlier released Nokia 3310. The new Nokia 105 features a micro USB port (USB 2.0), a 3.5mm audio jack, 1.8-inch QVGA coloured display and a curved polycarbonate body with an island keypad for dialing and texting. All the ports of the phone are located at the top of the device. The phone now comes with Nokia Series 30+ mobile operating system, 800mAh battery 4MB of RAM and 4MB of storage. All the new specs of the phone are improvements of the last version and so the phone boasts 15 hours talk time and a month on standby time. They also claim that the storage capacity of the Nokia 105 will be able to store up to 500 text messages and 2000 contacts. The phone will also offer FM radio, come with the classic Snake Xenzia game and also two demo games that you can purchase Crossy Road and Doodle Jump. Considering that most of us are used to smartphones which can store more, it doesn’t seem like it’s that outstanding. However, for a phone in that class, it is proving on paper that it will be able to do the basics well. The Nokia 130 builds on top of all the specifications that the Nokia 105 has. It comes with the same classic Snake Xenzia game and tops it up with 5 games from Gameloft which you can try and then buy later. The display and ports are the same as the Nokia 105. However from there, things become a little different. Nokia 130 offers 4MB RAM, 8MB storage and a micro-SD card slot that allows storage expansion up to 32GB. The extra storage will be useful for you to store music which you can listen to via the pre-installed MP3 player. The camera also features a built in rear VGA camera but don’t expect to take mind blowing pictures with it. When it comes to power, the Nokia 130 is backed by a 1020mAh battery which claims to offer 11.5 hours of video playback, 44 hours of FM radio and music playback with a headset and up to a month on standby from just a single charge. The Nokia 130 has a polycarbonate shell with rounded edges that should protect it against accidental drops. It also supports Bluetooth connectivity. Even-though both devices have been launched, only the Nokia 105 (2017) is available in India starting July 19 while the Nokia 130 (2017) availability will be announced later. Both devices will be available in either single sim or dual sim variants. The Nokia 105 will be available in Blue, White and Black colour options while the Nokia 130 will be in Red, Grey and Black colour options. These new phones are a way for the Nokia brand to come back into the market and claim a wider market share considering how not everyone is online yet. It will take some time for them to reach Zimbabwe. However when they do, would you buy a feature phone from Nokia? If so, why? I am that age that looks at Nokia with nostalgia, having used the Nokia 5190 as one of my first sets around 2000 or so. I would much prefer the 3110 re-released in June retailing at around 50 pounds. It does the job, is robust, has a bug-free MP3 player (no repeated tracks due to poor memory flushing before re-loading) and can be used like a native modem, comparable to the present day wi-fi. Battery life and reception are excellent, I’m sure even surpassing some entry-level “smart” phones around. Simply as a back up set – for collectors. Nokia had an excellent compressed proprietary audio format which did not compromise quality but saved on crucial storage space. One could also easily backup contacts onto a lap/desk top using a Nokia 3p tool – just in case! 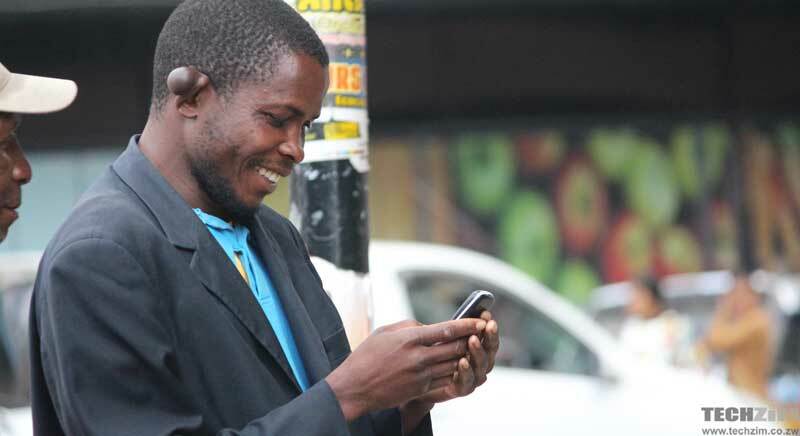 Yes I would go for the Nokia 130 I used the Nokia 100 it was a good device expect for not having a dual function and a camera but if they arrive in Zimbabwe I will go buy myself one. Well if the new Nokia mbudzi does not stand on a table by itself then it’s fake. The original Nokia used to stand and dance when they vibrate ring.